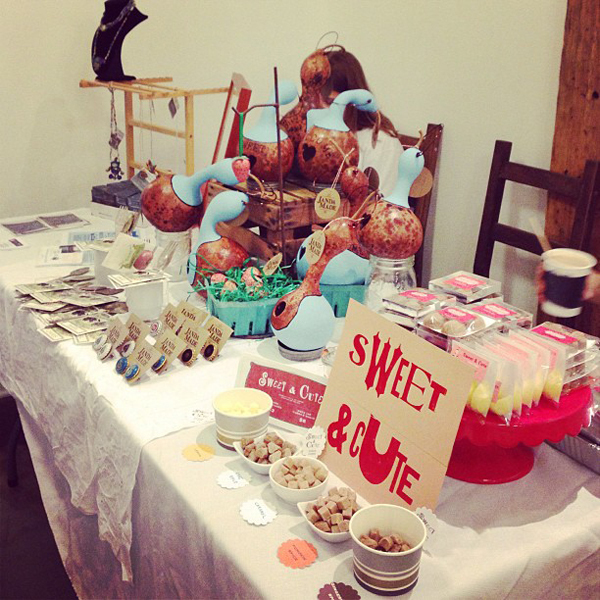 Aprille, Tina and I did a summer craft show... at the Brainery Bazaar this time. It wasn't super busy but we enjoyed our time hanging out together. The Brainery had goodie bags for the first 25 visitors and I made pug moustache buttons for them. "Distinguished pugs choose Janda Made." What is Janda Made you ask? Well, after years of working together on Christmas gifts and other projects, Aaron and I have finally settled on becoming a husband and wife creative team called Janda Made. Janda as in J and A or Jenny and Aaron. Both of us has a hand in everything we make. Aaron drilled the holes in the birdhouses, and I burned and painted them. Aaron flattened the silverware, then I stamped them. Aaron turned the wood strawberries while I woodburned the seeds and made the felt leaves. Aaron made the bottle cap cuff links while I.... uhhhh I art directed them. Hah! 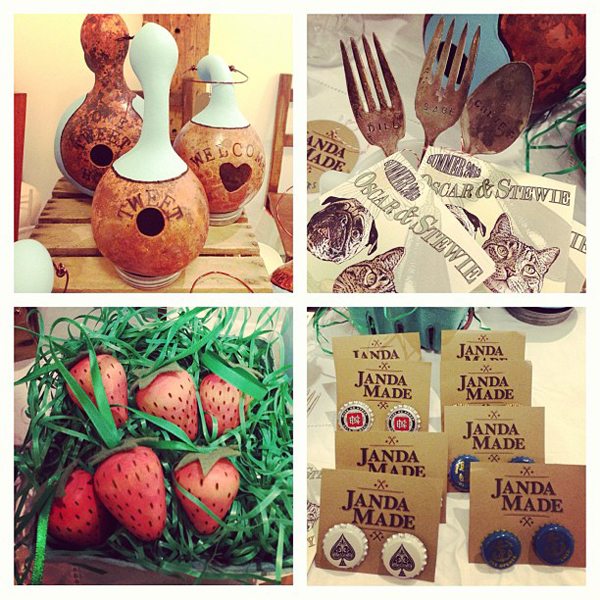 So look for more from Janda Made to come in the future! That's awesome!! Congrats on your new business venture!